With LGBT+ events, theatre, art, music, dance, storytelling and so much more, there is something for everyone, and, for one night only, it’s all free! Entertainment 7 September, 2018 . Written by Sarah McKenna Barry. Friday September 21 sees the return of Culture Night, as the country plays host to over 4,000 free events taking place nationwide. With LGBT+ events, theatre, art, music, dance, storytelling and so much more, there is something for everyone, and, for one night only, it’s all free! For years, Culture Night has been bringing people of all ages and backgrounds together, as venues across Ireland throw open their doors to present a series of exciting events and nighttime adventures. Last year’s Culture Night saw over 400,000 people enjoy the very best of Irish contemporary culture the country had to offer, and this year’s event promises to be even bigger. Nestled in among that amazing line-up are a number of LGBT+ events. Here are three of the highlights not to be missed! 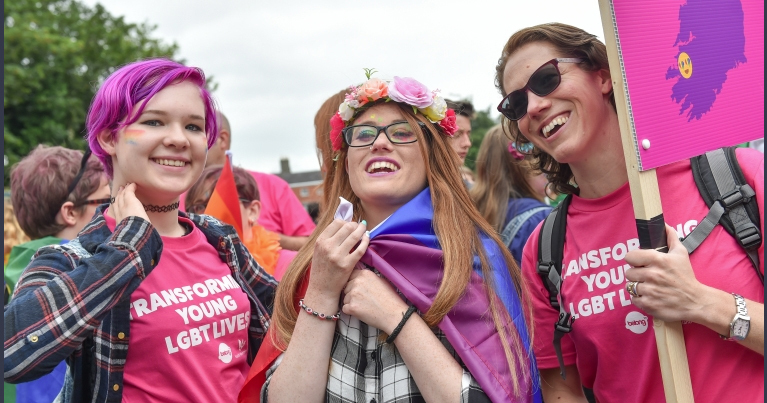 BeLonG To Youth Services is the national organisation for LGBTI+ young people in Ireland. For the first time in history, they will be opening their doors to the public, inviting you to experience their living library and witness the stories of LGBTI+ young people as told by current members of the service through poetry and spoken word. Outhouse are delighted to collaborate with resident theatre group Acting Out on an evening of LGBT+ cabaret. Featuring songs, stories, comedy and raucous entertainment, they’re hosting an exciting variety of acts to celebrate LGBT+ contribution to the arts for Culture Night! 7 September, 2018 . Written by Sarah McKenna Barry.